A little light dust is normal, but if you find a thick layer of dust that accumulates seemingly overnight, despite your best efforts to keep your home clean, you have a problem. 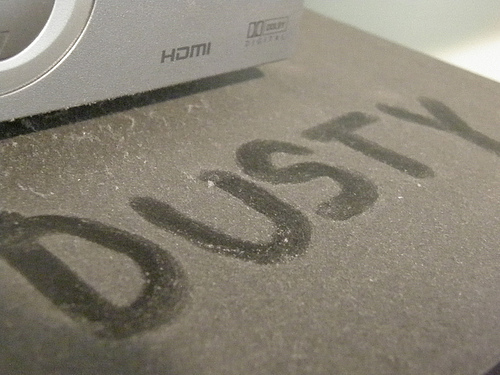 Dust consists of dirt, dead skin cells, hair, pollen, insect parts, pet hair, and dander. Additionally, dust can often hold hazardous chemical residues including flame retardants, phenols, and phthalates. Medical specialists have linked these chemicals to hormone issues and cancer. Find out the reasons your house may be accumulating so much dust. Gaps around fittings, holes, and unsealed joints between duct sections allow warm or cooled filtered air to escape and dirty unfiltered air to enter, complete with dust and other contaminants. An HVAC technician can perform a pressure test on your HVAC system to identify leaks. You can use foil tape, mastic, and fabric tape to seal minor holes and gaps. A qualified HVAC technician will need to repair more significant leaks. After repairing and sealing all the leaks, a technician needs to thoroughly clean the ducts to remove any traces of mold and the inevitable accumulation of dust and dirt. Air filters which are the wrong size or type will not prevent dirt, dust, and other contaminants from entering your HVAC system. A clean, correctly sized proper air filter will promote ideal indoor air quality (IAQ) in your home. Rather than buying an air filter blindly, use a tape measure to check the length and width of the grill where you insert the filter. If you are unsure whether you have the correct size, check with an HVAC technician. The other measurement which is important when selecting an air filter for your home HVAC system is the Minimum Efficiency Reporting Value, or MERV. This measurement refers to the mesh density in the filter, with 12 being the finest available for residential use and four being the most coarse. If the mesh is too coarse, it may not adequately filter smaller contaminants, but if the mesh is too fine, it will not allow enough air to flow through it, leading to problems with your air quality. Older houses often have small gaps under doors or around windows which can allow outside air into the home. In addition to compromising the efficiency of your heating and cooling, these drafts also bring dust and other contaminants into your home. Many hardware stores carry assorted draft sealant products to repair these gaps. Each time your family or visitors enter your home, they bring with them pollen, debris, and dirt from outside. Using a doormat to remove excess dirt from shoes and perhaps taking shoes off before entering the home will greatly reduce the amount of dirt and debris being bought inside. To combat dust in your home, check your ducts for leaks, look for the correct air filter, and maintain your HVAC system. Taking steps like these can help you keep dust in your home under control.